Venus Zheng is a real estate agent with Coldwell Banker, one of the leading real estate brokerages in the nation, specializing in single family and multifamily homes. Committed to getting clients what they want, Venus combines her sales experience, market research, and professional networking to close transactions. Venus also works with a team of highly qualified and experienced professionals to ensure her clients get the best help possible. Contact Venus today with any real estate questions or needs. With Venus’ commitment to a personalized service, she will be able to assist you in your needs or refer you to the right professional. If you are interested in finding out the value of your current home, or looking to purchase a new home, Venus guarantees the best service available in the industry. 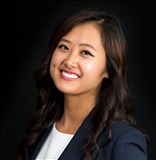 Having graduated from Rutgers Business school with a Finance and Chinese degree, Venus applies fundamental financial principles and her multicultural background to help clients with one of the most important investments they will make in their lifetime. Prior to starting her career in real estate, Venus worked in international supply chain sales for 7 years serving fortune 500 companies.